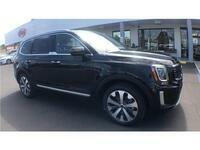 One of the most highly anticipated Kia vehicles in years, the release of the new Telluride is almost finally upon us. Joining other popular Kia SUVs such as the Soul, Sorento and Sportage, the entire Kia SUV lineup is one of the finest places to start your car search. 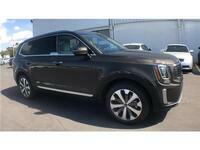 With fantastic performance, incredible features and conveniences along with a modern design, let’s take a look at the 2020 Kia Telluride near Spring Hill, FL, arriving soon at our dealership. For 2019, the exciting new 2020 Kia Telluride will be available to drivers later this spring with a starting MSRP of just $31,690. The upcoming SUV will also be extremely customizable, offering four distinct trim levels including the standard LX, along with the upgraded S, EX and SX models. The new Telluride also offers seating for seven to eight passengers depending on trim level, along with available all-wheel drive configuration options. While each Telluride models offers a unique and exciting set of technologies and conveniences, even the standard model comes with plenty of great features. When it comes to design, the 2020 Telluride offers 18-inch alloy wheels, LED positioning lamps, SOFINO synthetic leather seating and a leather-wrapped steering wheel. The new SUV also offers standard safety features such as the Forward Collision Avoidance Assist with Lane Keeping Assist, Smart Cruise Control with Stop & Go and the Blind-Spot Collision Avoidance Assist with Rear-Cross Traffic Collision Avoidance Assist. If you would like to learn more about the upcoming 2020 Kia Telluride near Spring Hill, FL, be sure to contact us at Citrus Kia. You can also get behind the wheel of the exciting new SUV when it arrives at our dealership later this year. Can’t wait for the new model, feel free to read even more about it on our blog!